Conceptual Analytics was founded in 2000 by Dr. Edward Cheng. 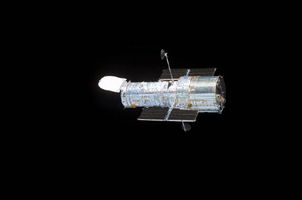 Formerly the NASA Hubble Space Telescope Development Project Scientist, he provided scientific and technical leadership for this project, from deployment through the optical aberration recovery and ending with Servicing Mission 3B. Dr. Cheng also served as the Deputy Project Scientist for the Cosmic Background Explorer satellite mission during his 13-year tenure at the NASA Goddard Space Flight Center. His scientific interests include large scale structure formation and the cosmic microwave background radiation.